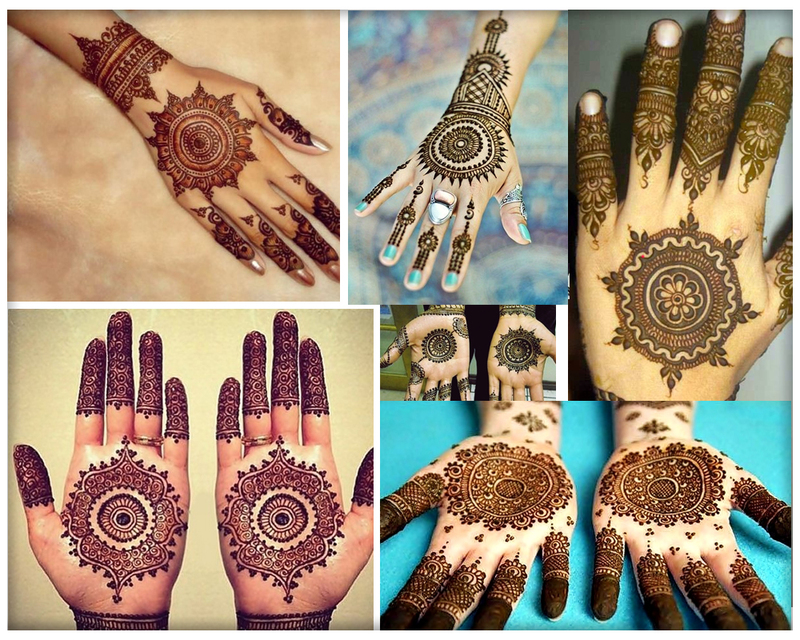 Mehndi is use to adorn body parts and it gives instant kick to your overall style isn’t it? Do you love applying mehndi but find it difficult? 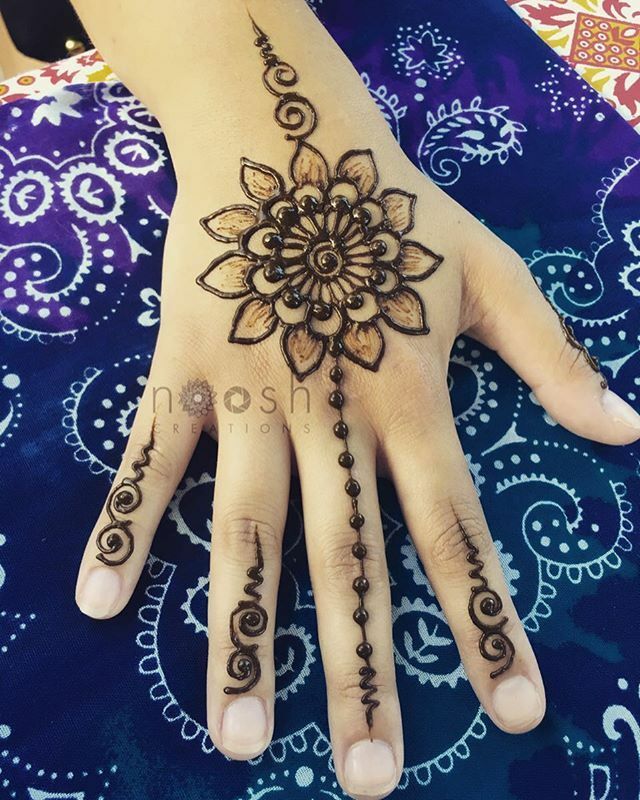 Easy mehndi designs would solve this problem because this post features easy mehndi designs that super easy to try yourself. Actually mehndi application is not that much difficult as it seem, various mehndi designs are so simple to give a try yourself. 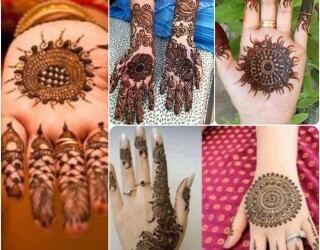 If you feel daunting bout applying mehndi yourself stay tune to this post to simple and easy mehndi designs that would give boost to your style. 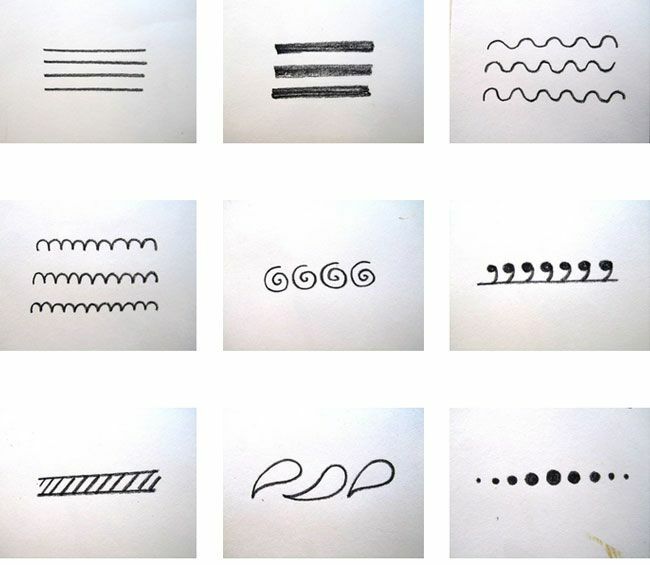 I believe motivation and practice both together can do wonders if we use these two to draw mehndi patterns then I think everyone can learn any thing on earth. 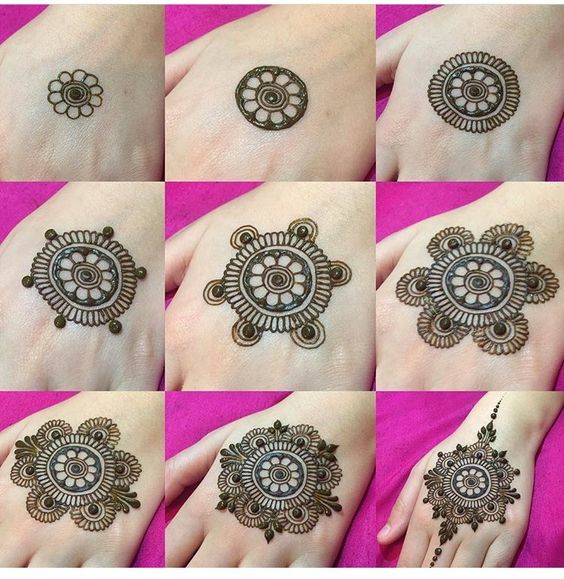 So let’s ready for simple and easy henna patterns. Before actually drawing henna patterns I would suggest practice the simple henna pattern on paper. 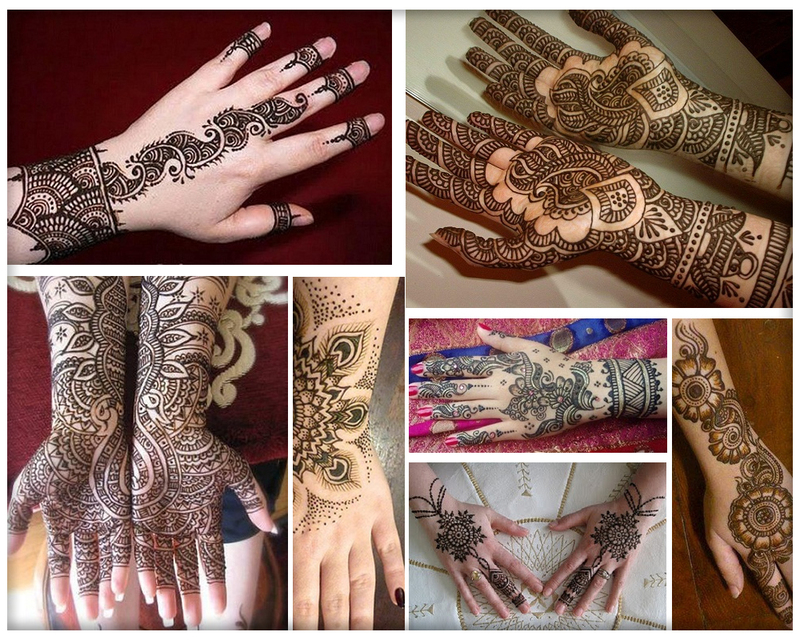 I bet by doing this you would be able to draw intricate henna patterns like arabic mehndi designs, Pakistani mehndi designs and Indian mehndi designs. Practice these mehndi design images below to draw floral, paisely, tree, leaf mehndi patterns on papers, afterwards you can easily draw any mehndi design on hands but remember practice is the real key to avoid the feeling of I can’t draw even an easy henna design. 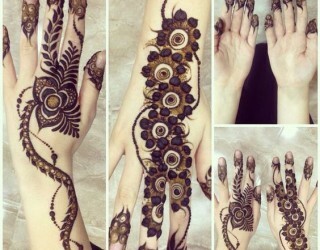 This is a supper easy gol tikka mehndi design that fall under arabic mehndi category. 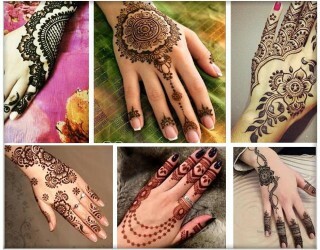 You can quickly do this design to adorn your back of your hand for holi, dewali, eid, friends wedding or any other event. This is another simple and easy floral mehndi design for back of the hand that you could draw yourself without making any mess. 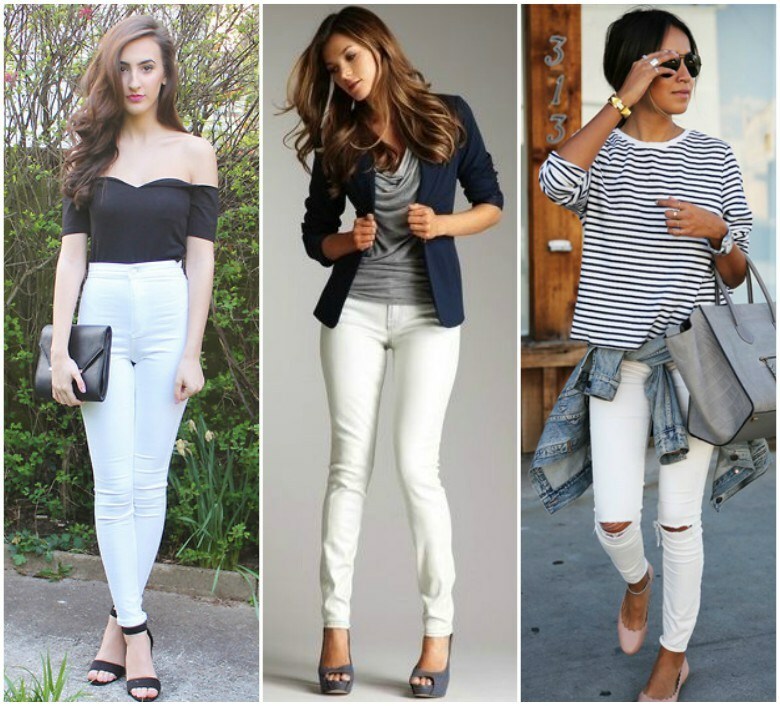 Besides simple it looks stunning, apply this to accentuate your looks. 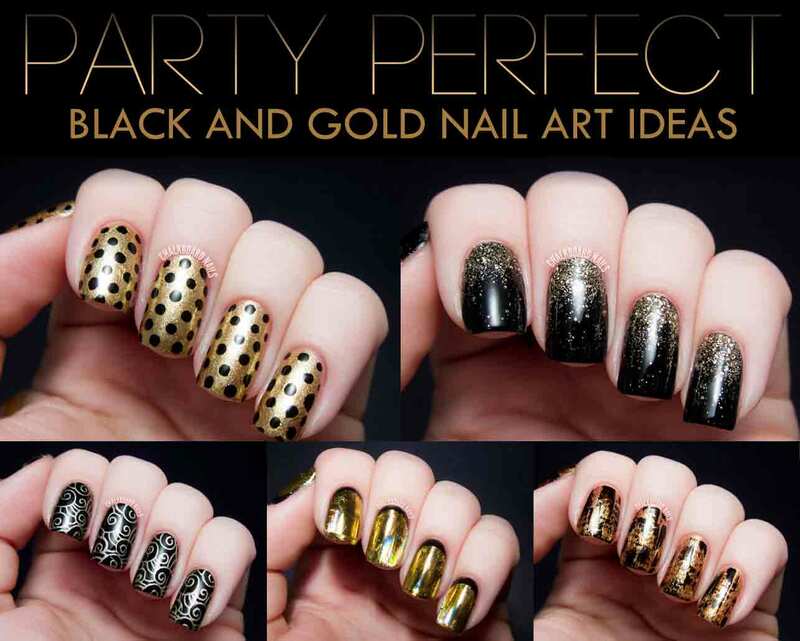 If your are interested in making your feet adorable for a party then use henna to decorate feet. Mehndi design image for foot below is supper easy to do just you need to draw. a leaf design, for this do a little practice on paper first. 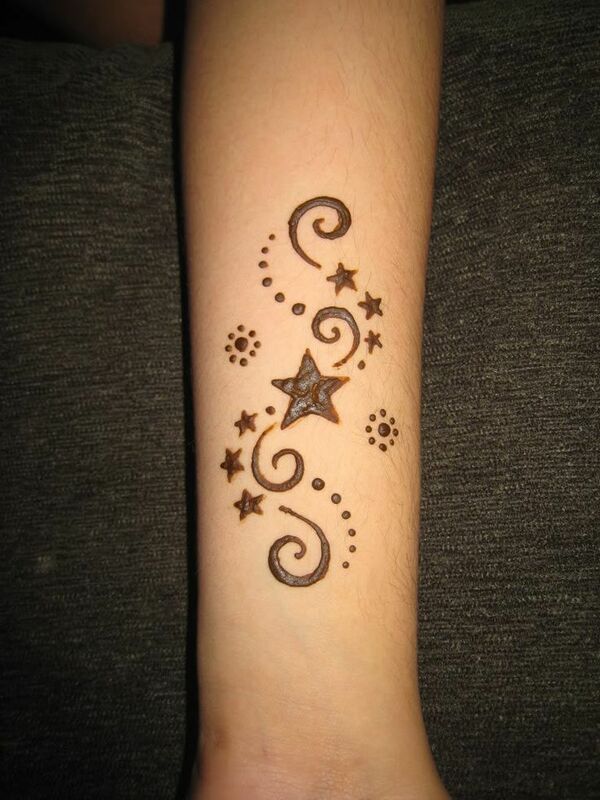 Do you like to decorate arms with henna and looking for simple and easy mehndi design then this arm henna pattern is your pick to do yourself. 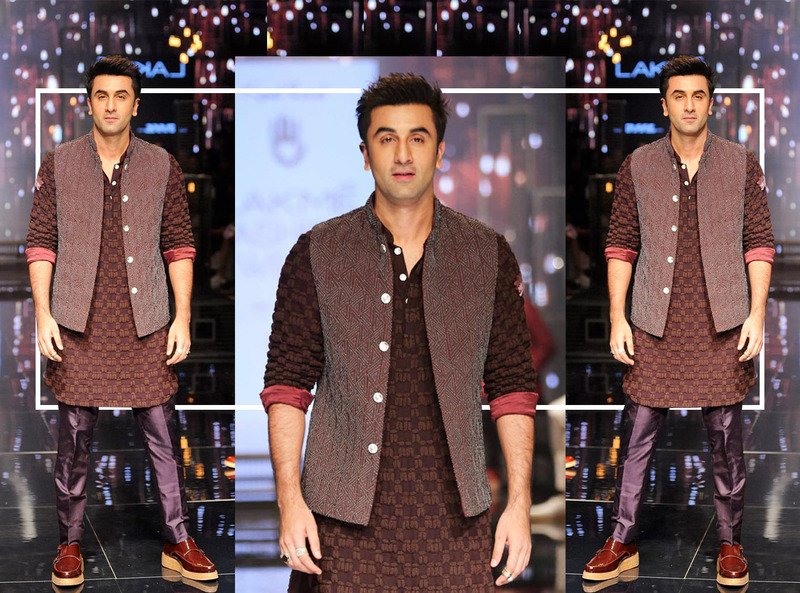 This pattern is just a combination of floral and leaf pattern I am sure you can easily do this at home. 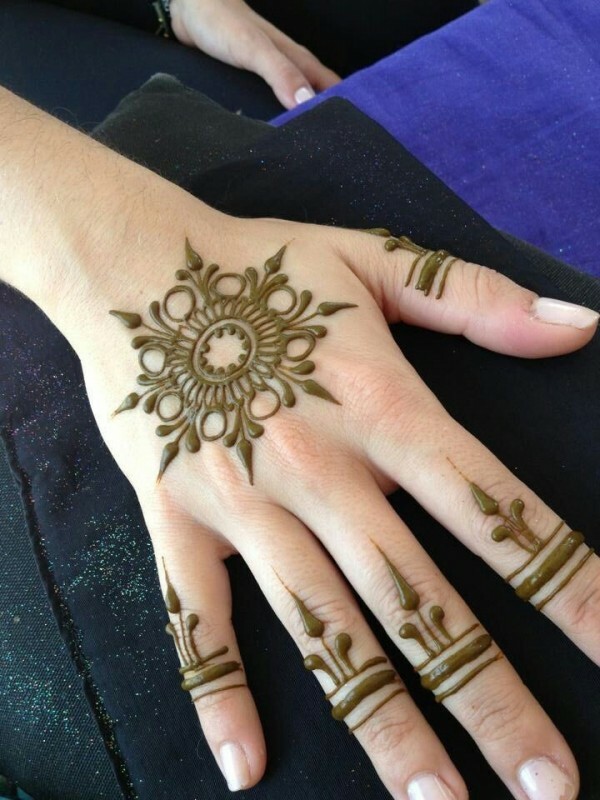 This circular mehndi design is perfect choice for back of the hand. 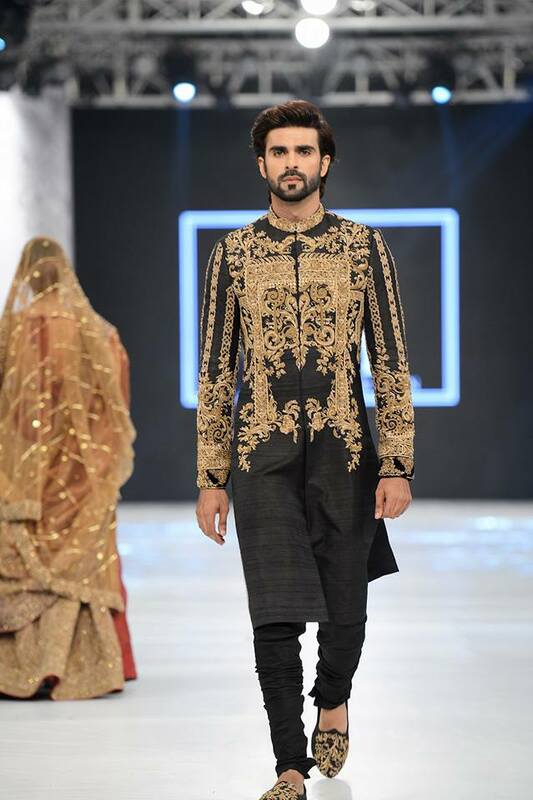 This design is just combination of floret and flower bud mehndi pattern. 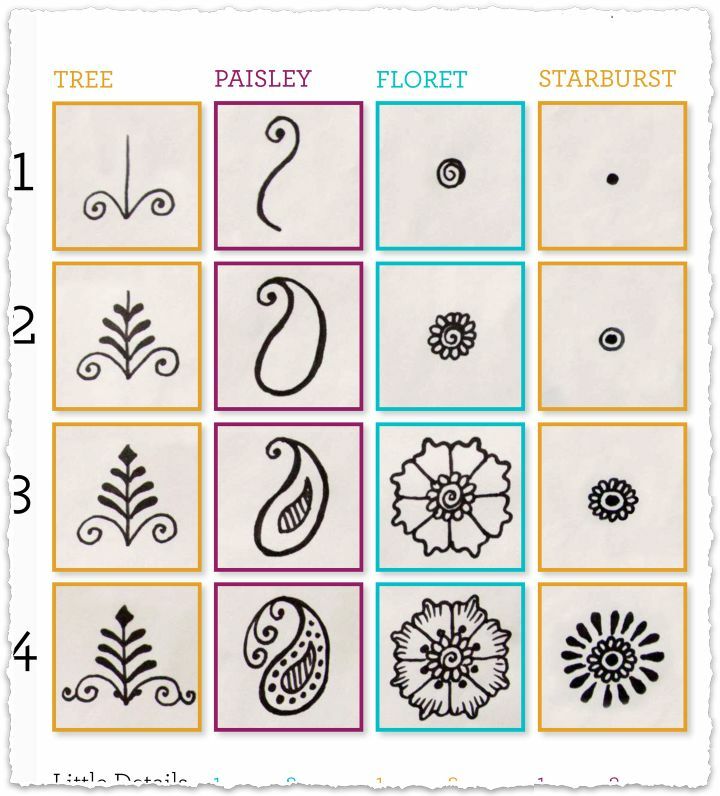 I added a picture above that you can practice to learn floret and bud henna patterns. 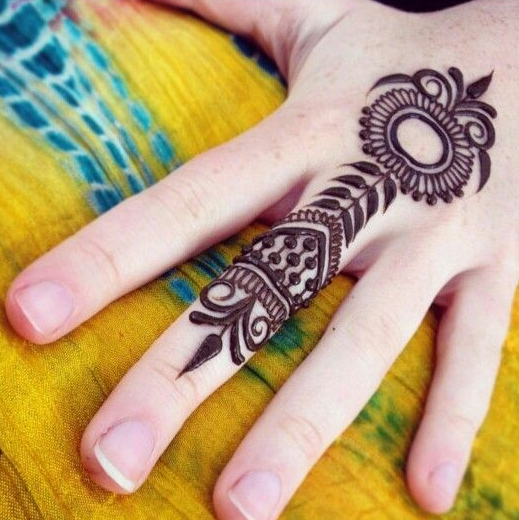 This new style mehndi design is just perfect if you like minimal patterns. You can adorn your hand by simply drawing a paisley pattern and little designing on finger. To decorate your feet apply this super easy henna design on foot. To make this design you just need to draw to curvy lines make little dots on one and small leaves on the other line. Don’t you think it’s supper easy? I think everyone can draw star with pencil, I unconsciously (may be I like stars ) used to draw star whenever I am having free time. Oh I Turned my direction, let’s talk about easy henna which this post is all about. 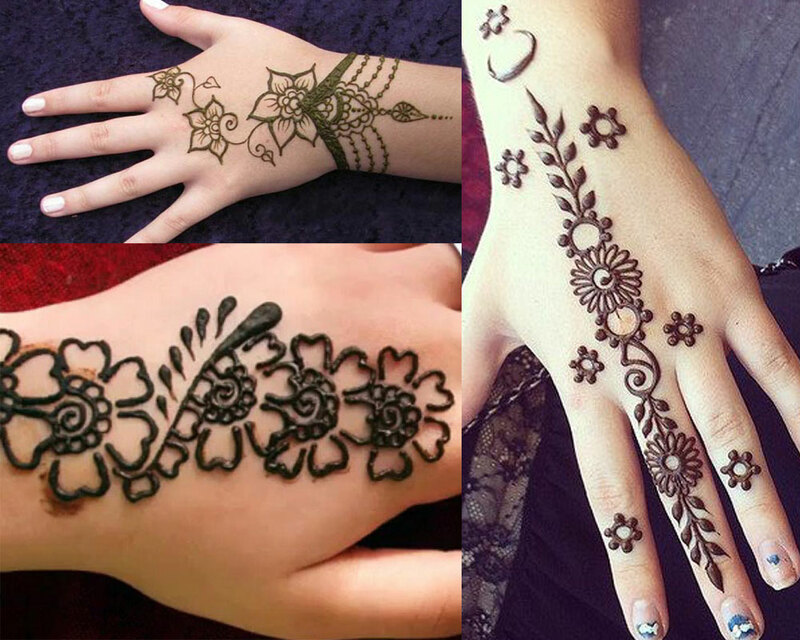 This mehndi design image is a combination of stars, dots and few curved lines that is literally quick to adorn arms and wrist. 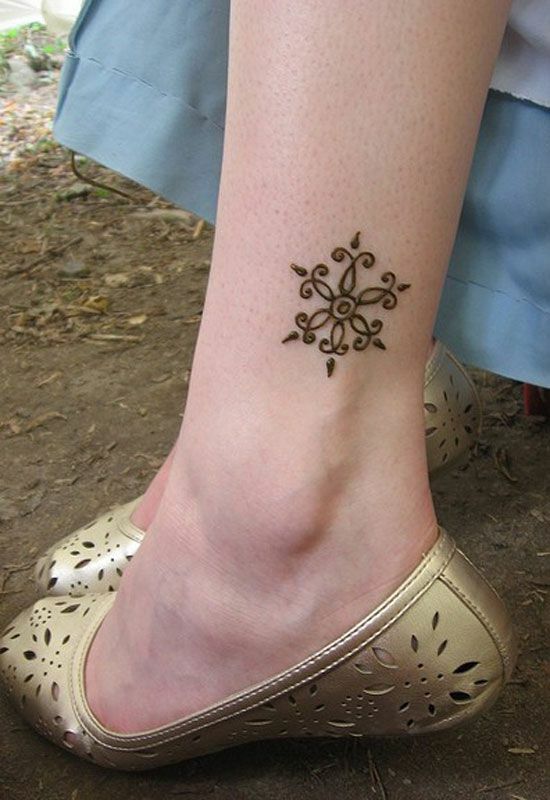 Simple mehndi tattoo is really a nice way to decorate your leg if you are wearing skirt or capri. 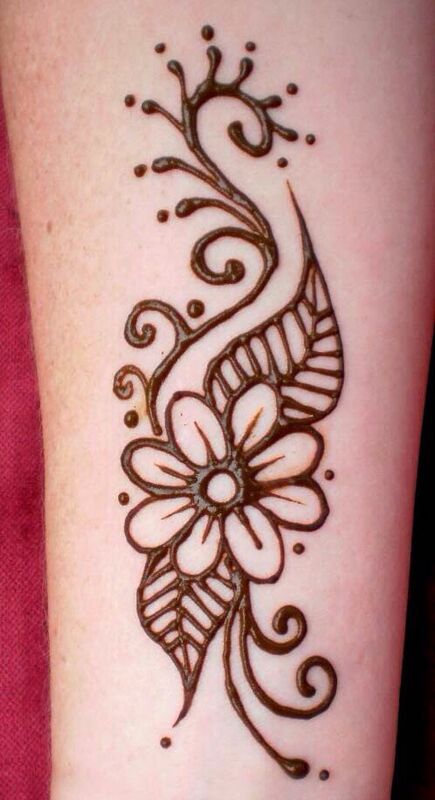 Look at the mehndi picture below to get the idea of how to draw this easy mehndi tattoo. This is one of the simple mehndi designs for hands that is super easy to apply. All you need to draw is a starbust and little leaves to decorate your hands for any occasion. 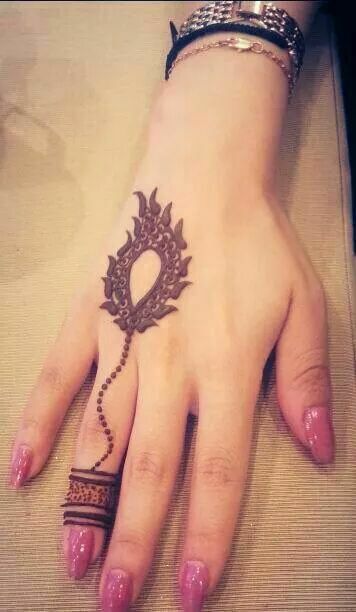 Some girls love to decorate fingers with mehndi. 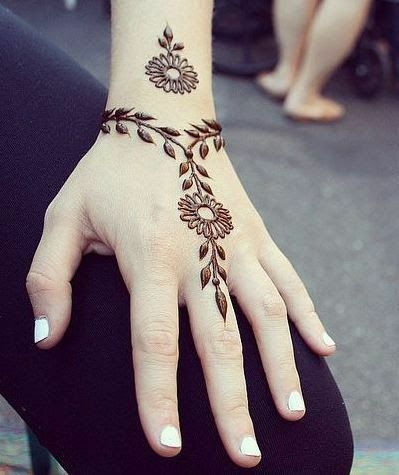 This easy and simple henna design is beautiful way to decorate your fingers for any event.